Now I am ready for the Tradeshow week in snowy & freezin’ Berlin ! 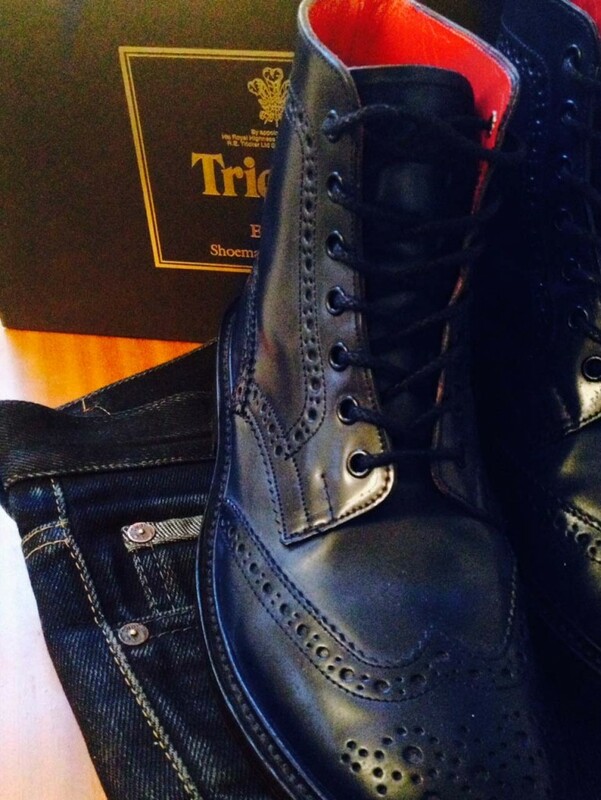 A lovely pair of blue Tricker’s, with a subtle blue-black patina… perfectly matching my 20oz denim…. Great : The Dainite sole & bold red super-soft calf lining !